the big year out postcards are here and are in the mail next week! The website will be up early next week once I have forced WordPress to surrender its secrets to me! The brochure is being designed and printed next week. We have a special launch breakfast on 17 October. It's all happening. Much more news to come very soon! 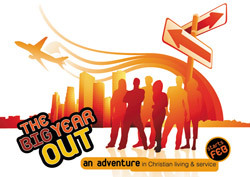 What's the Big Year Out? Read the postcard!